La Folie Douce Hotels is the perfect spot for après-ski every Wednesday between 16h00-22h00. 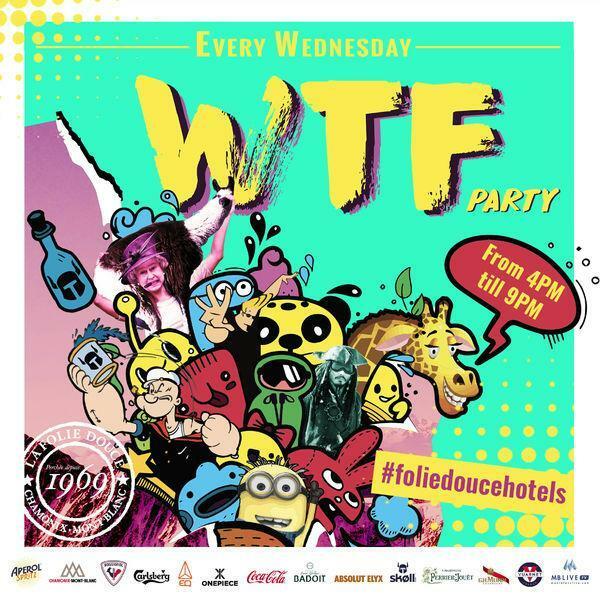 The Hotel is hosting the WTF party at 191 Avenue du Savoy in the heart of Chamonix. You can participate in night cross-country skiing at the Bois du Bouchet every Thursday between 18h30-20h30. The departure point is at the Nordic house and access is free. Make sure to bring your headlamp as the ski trails are not lit at night! Entry fee is 14€ per adult and 8€ per child. Fancy a laugh? The Jekyll on 71 Route des Pelerins is hosting a live comedy night on the 4th February. Taking the Piste will kick off from 20h00 until 23h00.